Big Trees Lodge, formerly Wawona Hotel, has provided lodging for travelers since the 1870s, and is a trip into the past for today’s visitors to Yosemite National Park with its old world charm. Book Online. 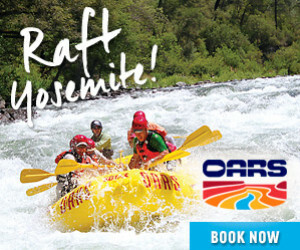 Be amazed with our small-group adventure showcasing giant Sequoias, spectacular waterfalls, wildlife & gorgeous rivers. We stay and dine at the Big Trees lodge in this trip. Big Trees Lodge, formerly Wawona Hotel Yosemite, is a historic hotel within the confines of Yosemite National Park, one of the oldest resort hotels in California. Surrounded by beautiful meadows and rushing streams, it’s a place to relax and enjoy the best of Yosemite. Big Trees Lodge Yosemite National Park is only 4 miles from Yosemite’s south entrance, located at 8308 Wawona Road (Highway 41). A number of hikes in the area give you a great view of the area. Beginning at the hotel, you can do the Wawona Meadow Loop or from the Wawona Store, you can hike the 4.8-mile Swinging Bridge Loop. Right across from the Big Trees Lodge is a 9-hole, 3,035-yard golf course, the only golf course in Yosemite and in operation since 1918. There’s nothing like experiencing the incredible scenery of the park by mule or horseback. The Wawona Stable offers great rides on easy trails. This stand of Giant Sequoias is the largest in the park, with several hundred trees. You will find yourself awestruck when you see the one named Grizzly Giant, around 2,000 years old. 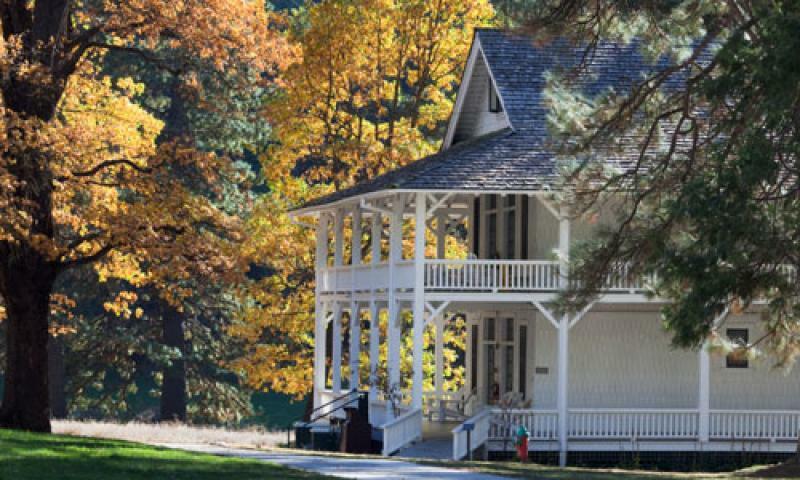 Tour a number of historic structures that display some fascinating history of Yosemite, including a covered bridge, blacksmith shop, ranger patrol cabin, the Hodgdon Homestead Cabin and many more. 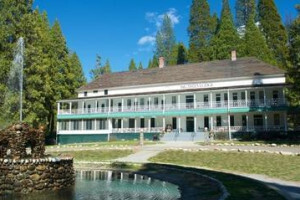 Big Trees Lodge, formerly Wawona Hotel, is open from approximately 1 April to November 28. It opens again during the winter for the Christmas season (17 December to 2 January). There are a total of 104 rooms housed in six buildings, with European-style architecture and furnishings of days long past. There are claw-foot tubs, marble-top dressers and over-stuffed chairs. Fifty of the guestrooms have private baths. The rest are served by central restroom and shower facilities. Many rooms open onto verandas with views. There is daily maid service. You won’t find televisions or telephones here, however, in keeping with this natural environment. Guest amenities include a tennis court and swimming pool. The main dining room offers all meals and exceptional cuisine. Saturday night old-fashioned barbeques are a favorite with summer guests. Make reservations at the Big Trees Lodge by calling 888-413-8869 or Book Online.